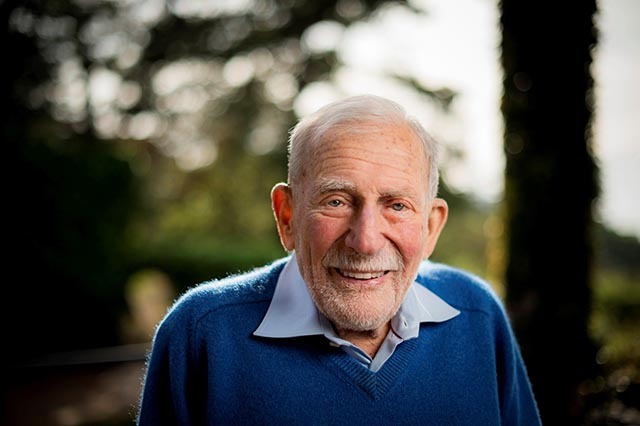 Walter Munk, who served on the MBARI Board of Directors from the institute’s inception in 1987 until 2003, passed away February 8, 2019 at the age of 101. Munk was a leader in the study of the oceans during his 80-year career as a professor and researcher at Scripps Institution of Oceanography. His work made a tremendous impact on the understanding of waves, tides, and ocean acoustics. Munk was one of MBARI Founder David Packard’s most trusted advisers when Packard was considering the establishment of an oceanographic research institute. Munk once commented that he believed his own greatest contribution to MBARI was insisting that the words in MBARI’s mission statement not limit our work to Monterey Bay. MBARI was extraordinarily fortunate to have had benefit of the wisdom, advice, and support of this giant in the field of oceanography for so many years. 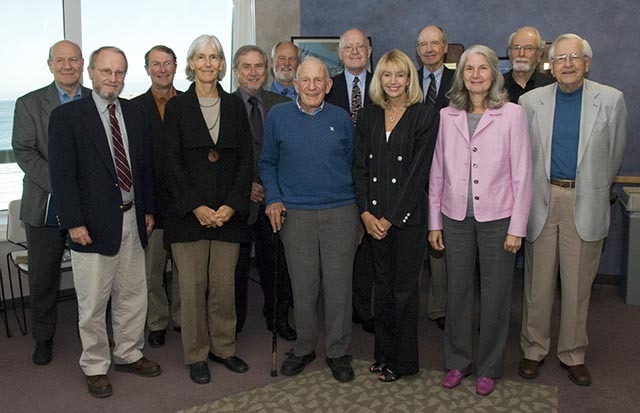 Walter Munk, center, with members of the MBARI Board of Directors in 2009. Front row, from left, Curt Collins, Julie Packard, Munk, Marcia McNutt, Barbara Wright, Karl Pister; second row, Joel Birnbaum, Lynn Orr, Bruce Gilman, Eric Hartwig, Ross Heath, Dean Morton, George Somero.